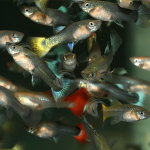 Australian native fish represent a large and diverse group and offer a ‘local’ feel to aquariums that are often dominated by fish from other continents. 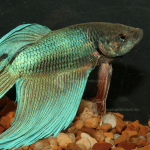 Popular native fish include Rainbows, Archer Fish, Barramundi, Perch, Murray Cod, Saratogas and Tandanus Catfish. 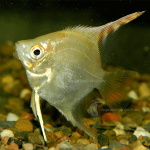 These fish inhabit a range of environments from freshwater to brackish water conditions and temperate species suitable for coldwater tanks such as Murray River Rainbows to tropical species such as Archer Fish. 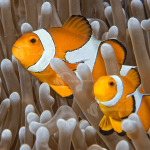 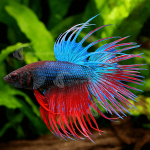 Most species are easy to keep and fairly tolerant of varying water quality, although in general most species prefer neutral to slightly alkaline pH. 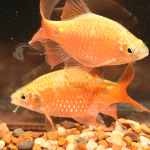 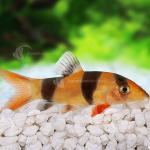 They will generally accept most aquarium foods, and often benefit from frozen or live foods. 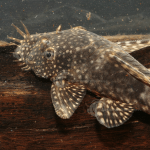 It should be noted that Murray Cod, Barramundi and other large species are predatory species and will eat other fish, particularly as they grow and may not be suitable for a general community tank. 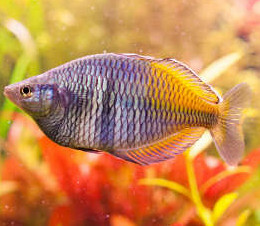 Other species such as the Rainbowfish can be a great addition to a community tank. 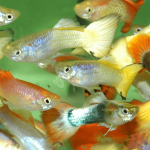 As many of these fish are wild caught, supplies are generally seasonal with shortages sometimes occurring over the winter.